Technology and Cybersecurity company Megahoot, LLC, has a keen focus on protecting the data of its users across all current and future products, providing a high level of privacy and protecting user activity across the entire Megahoot Network. “When we first launched Megahoot in 2011 it was primarily a social media network, such as Facebook or Twitter, providing users a way to share photos, videos, collaborate in groups and much more. At the height of the growth we had well over 10 million active users on the platform simply by word of mouth and because we had a desire to invoke more privacy it made advertising less desirable for marketers. This limited access to additional funding which would have allowed Megahoot to thrive, especially in today’s environment. We shut down the original Megahoot company in 2013 and brought the team back in 2017 to launch a new Megahoot as a secure private collaboration platform for business and personal use, incorporating ephemeral messaging, cryptography for text, audio and video calls, heavy security and data protection. Basically we created what we originally wanted to bring to market, a private collaboration platform that could go social. We are strong believers that a users private data should be just that private, not for sale or any other use, it’s a violation of trust in my opinion”. Stated Megahoot CEO Louis Velazquez. The Megahoot network will contain various highly secure products for business and personal use. Such products include a highly encrypted messaging platform that will allow users to text, call and video chat safe from prying eyes and ears. Utilizing a timer with all messaging, its will allow users to have all records of phone calls and messages permanently deleted from the network. Another feature will include mass private group chats for personal, corporate, government and celebrity use. Megahoot will be launching an enterprise model where corporations globally will be able to have the Megahoot team create an internal version of the network specifically geared towards their needs, incorporating as many or as little features as requested. Additionally other areas that Megahoot is creating products for include blockchain technology and smart technology. The Megahoot Blockchain Technology creation platform will allow businesses to create customized blockchain technology for various uses, from logistics, accounting, inventory, financial and much more. The Megahoot Smart Technology division will be creating various smart technologies for inclusion in new residential and commercial builds adhering to smart city initiatives globally. “User Data Privacy is paramount and protecting our users is the foundation that will allow Megahoot to grow and add true value to our community. We will never add advertising, sell user information or violate the trust that any user puts into the Megahoot Network. Megahoot messaging will be free for anyone to use without fear of their data being compromised or being advertised to. This network was built with privacy as the backbone and we look forward to having it evolve into something greater over time,” added Louis Velazquez. Megahoot is a Technology Company focused on secure private collaboration platforms for business and personal use, incorporating ephemeral messaging, high security, use of cryptography and secure mobility. 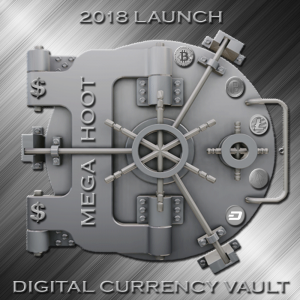 Products being introduced in 2018 include a digital vault for highly secure holding of various cryptocurrencies, loyalty tokens and information on/off the Megahoot Network. With the use of blockchain technology Megahoot will be venturing into various industries from smart homes to health care and more utilizing its blockchain technology platform that will allow corporations globally to create dedicated blockchain networks for their businesses for everything from accounting, logistics, supply chain management, security, education and much more. There will also be the ability to create loyalty tokens and coins aka cryptocurrency on the Megahoot Network. As of March 16, 2018 Megahoot’s development team is responsible for all current and future development, maintenance, marketing and transaction fulfillment of the Pecu Novus Digital Asset Network www.pecunovus.com. Megahoot LLC is a wholly owned subsidiary of Falcon Global Acquisitions.